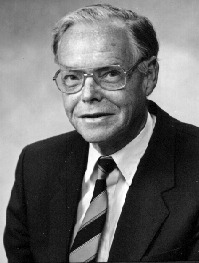 Harold Aspden (b. 1927) is a retired British author, theoretical physicist, electrical engineer, and inventor from Southampton, Hampshire, England. He is an outspoken critic of Einstein's Theory of Relativity, and has proposed a whole new concept of Physics based on a dynamic Aether fluid crystal structure permeating all space: the energy source that regulates quantum activity, constantly framing our whole physical universe, and that accounts for the creation of matter. He is the author of a number of books, most notably Physics without Einstein (1969; 2005), The Physics of Creation (2003) and Creation: The Physical Truth (2006). He is also author of a number of papers published in notable peer-review journals (Journal of Applied Physics , Lettere al Nuovo Cimento [Europhysics Letters], Physics Today, etc.) and in alternative non-mainstream journals (Hadronic Journal, Physics Essays, etc.). His academic career was conducted at the following institutions: Manchester (B.Sc., 1945-1948), Trinity College, Cambridge (Ph.D., 1950-1953) and Southampton (Visiting Senior Research Fellow, 1983-1992). He was the director in charge of IBM's European Patent Operations from 1963 to 1983. He is also member of the British Institute of Physics. Aether Science, Harold Aspden's Home Web Site, Aug. 1988. "Space Energy Blows NASA'S Fuse." Mar. 1996 NEN. "'Free Energy' As Seen On British T.V." Feb. 1996 NEN. "Aether Theory and the Fine Structure Constant," Physics Letters, V1A, pp. 423-424 (1972), with D. M. Eagles. "Electrodynamic Anomalies in Arc Discharge Phenomena," IEEE Transactions on Plasma Science, V PS-5, pp. 159-163 (1977). "Theoretical Evaluation of the Fine Structure Constant," Physics Letters, V110A, pp. 113-115 (1985). "Anomolous Electrodynamic Explosions in Liquids," IEEE Transactions on Plasma Science, V PS-14, pp. 282 (1986). "The First Law of Thermodynamics," Physics Education, V28, pp. 339-343 (1993). ... 'The Law of Electrodynamics', Journal of the Franklin Institute, 287, 179-183 (1969). ... [Jointly with D. M. Eagles], 'Aether Theory and the Fine Structure Constant', Physics Letters, 41A, 423-424 (1972). ... [Jointly with D. M. Eagles] 'Calculation of the Proton Mass in a Lattice Model for the Aether', Il Nuovo Cimento, 30A, 235-238 (1975). ... 'The Fresnel Formula applied to Empty Space', International Journal of Theoretical Physics, 15, 263-264 (1976). ... 'Inertia of a Non-radiating Particle', International Journal of Theoretical Physics, 15 631-633 (1976). ... 'A New Approach to the Problem of the Anomalous Magnetic Moment of the Electron', International Journal of Theoretical Physics, 16, 401-404 (1977). ... 'Electrodynamic Anomalies in Arc Discharge Phenomena', IEEE Transactions on Plasma Science, PS-5, 159-163 (1977). ... 'Energy Correlation Formula Applied to Psi Particles', Speculations in Science and Technology, 1, 59-63 (1978). ... 'Crystal Symmetry and Ferromagnetism', Speculations in Science and Technology, 1, 281-288 (1978). .. 'G Fluctuations and Planetary Orbits', Catastrophist Geology, 3-2, 1-2 (December 1978). .. 'Ion Accelerators and Energy Transfer Processes', U.K. Patent Specification No. 2,002,953A (Published 28 February 1979). .. 'The Spatial Energy Distribution for Coulomb Interaction', Lettere al Nuovo Cimento, 25, 456-458 (1979). .. 'Energy Correlation of Radiative Decays of Psi(3684)', Lettere al Nuovo Cimento, 26, 257-260 (1979). .. [Jointly with D. M. Eagles], 'The Spatial Distribution of the Interaction Contribution to the Magnetic-Field Energy Associated with Two Moving Charges', Acta Physica Polonica, A57, 473-482 (1980). .. 'The Inverse-Square Law of Force and its Spatial Energy Distribution', J. Phys. A: Math. Gen. 13, 3649-3655 (1980). .. 'Speculations in General Plus Some of My Own', Speculations in Science and Technology, 3, 114-116 (1980). .. 'UFOs and the Cosmic Connection', Energy Unlimited, 8, 37-40 (1980). .. 'A Theory of Neutron Lifetime', Lettere al Nuovo Cimento, 31, 383-384 (1981). .. 'The Anomalous Magnetic Moment of the Electron', Lettere al Nuovo Cimento, 32, 114-116 (1981). .. 'Electron Form and Anomalous Energy Radiation', Lettere al Nuovo Cimento, 33, 213-216 (1982). .. 'A Theory of Pion Lifetime', Lettere al Nuovo Cimento, 33, 237-239 (1982). .. 'The Correlation of the Anomalous g-Factors of the Electron and Muon', Lettere al Nuovo Cimento, 33, 481-484 (1982). .. 'Mirror Reflection Effects in Light Speed Anisotropy Tests', Speculations in Science and Technology, 5, 421-431 (1982). .. 'Charge Induction by Thermal Radiation', Journal of Electrostatics, 13, 71-80 (1982). .. 'The Aether - an Assessment', Wireless World, 88, 37-39 (October 1982). .. 'Relativity and Rotation', Speculations in Science and Technology, 6, 199-202 (1983). .. 'The Lamb Shift for a Cavity-Resonant Electron', Lettere al Nuovo Cimento, 36, 364-368 (1983). .. 'The Thunderball - an Electrostatic Phenomenon', Institute of Physics Conference Series No. 66: Electrostatics 1983, pp. 179-184. .. 'The Determination of Absolute Gravitational Potential', Lettere al Nuovo Cimento, 37, 169-172 (1983). .. 'The Nature of the Muon', Lettere al Nuovo Cimento, 37, 210-214 (1983). .. 'Theoretical Resonances for Particle-Antiparticle Collisions based on the Thomson Electron Model', 37, 307-311 (1983). .. 'Meson Lifetime Dilation as a Test for Special Relativity', Lettere al Nuovo Cimento, 38 206-210 (1983). .. 'Planar Boundaries of the Space-Time Lattice', Lettere al Nuovo Cimento, 38, 243-246 (1983). .. 'The Mass of the Muon', Lettere al Nuovo Cimento, 38, 342-345 (1983). .. 'The Assessment of a Theory for the Proton-Electron Mass Ratio', Lettere al Nuovo Cimento, 38, 423-426 (1983). .. 'The Scope for First-Order Tests of the Light Speed Anisotropy', Lettere al Nuovo Cimento, 38, 568572 (1983). .. 'The Finite Lifetime of the Electron', Speculations in Science and Technology, 7, 3-6 (1984). .. 'Electromagnetic Reaction Paradox', Lettere al Nuovo Cimento, 39, 247-251 (1984). .. 'The Muon g-Factor by Cavity Resonance Theory', Lettere al Nuovo Cimento, 39, 271-275 (1984). .. 'Boson Creation in a Sub-Quantum Lattice', Lettere al Nuovo Cimento, 40, 53-57 (1984). .. 'The Steady-State Free-Electron Population of Free Space', Lettere al Nuovo Cimento, 41, 252-256 (1984). .. 'Don't Forget Thomson', Physics Today, 15 (November 1984). .. 'The Nature of the Pion', Speculations in Science and Technology, 8, 235-239 (1985). .. 'The Maxwell-Fechner Hypothesis as an Alternative to Einstein's Theory, Speculations in Science and Technology, 8, 283-289 (1985). .. 'The Paradox of Constant Planetary Mass as Evidence of a Leptonic Lattice-Structured Vacuum State', Lettere al Nuovo Cimento, 44, 705-709 (1985). .. 'The Exploding Wire Phenomenon', Physics Letters, 107A, 238-240 (1985). .. 'A New Perspective on the Law of Electrodynamics', Physics Letters, 111A, 22-24 (1985). .. 'Theoretical Evaluation of the Fine Structure Constant', Physics Letters, 110A, 113-115 (1985). .. 'The Proton Enigma', American Journal of Physics, 53, 938 (1985). .. 'More on Thomson's Particles', Americal Journal of Physics, 53, 616 (1985). .. 'Weak Violation - a New Concept in Relativity? ', Nature, 318, 317-318 (1985). .. 'Earnshaw's Theorem', Nature, 319, 8 (1986). .. 'Anomalous Electrodynamic Explosions in Liquids', IEEE Transactions on Plasma Science, PS-14, 282-285 (1986). .. 'How to Test Special Relativity', Nature, 321, 734 (1986). .. 'Classical Relativity', Nature, 320, 10 (1986). .. 'Electron Self-Field Interaction and Internal Resonance, Physics Letters, 119A, 109-111 (1986). .. 'The Mystery of Mercury's Perihelion', The Toth-Maatian Review, 5, 2475-2481 (1986). .. 'Flat Space Gravitation', Physics Education, 21, 261-262 (1986). .. 'Fundamental Constants derived from Two-Dimensional Harmonic Oscillations in an Electrically Structured Vacuum', Speculations in Science and Technology, 9 315-323 (1986). .. 'The Theoretical Nature of the Neutron and the Deuteron', Hadronic Journal, 9, 129-136 (1986). .. 'Meson Production based on Thomson Energy Correlation', Hadronic Journal, 9, 137-140 (1986). .. 'An Empirical Approach to Meson Energy Correlation', Hadronic Journal, 9, 153-157 (1986). .. 'The Theoretical Nature of the Photon in a Lattice Vacuum', pp. 345-359 in the Proceedings of the NATO Advanced Research Workshop on Quantum Violations: Bridgeport, Connecticut 23-27 June 1986, published by Plenum in NATO ASI Series B: Physics vol. 162. .. 'A Causal Theory of Neutron Diffraction', Physics Letters 119A, 105-108 (1986). .. 'On the Creation of the Sun', The Toth-Maatian Review, 5, 2609-2612 (1986). .. 'The Case for the Sub-Electron', The Toth-Maatian Review, 5, 2827-2833 (1987). .. 'Ampere's Law: Comments on a Discussion by Milnes', The Toth-Maatian Review, 6, 2981-2984 (1987). .. 'Derivation of the Electrodynamic Force Law', The Toth-Maatian Review, 6, 2985-2987 (1987). .. 'The Exploding Wire Phenomenon as an Inductive Effect', Physics Letters, 120A, 80-82 (1987). .. 'Earthquake-Related EM Disturbances', Quarterly Journal of the Royal Astronomical Society, 28, 535-536 (1987). .. 'A Note on the Silvertooth Experiment', Speculations in Science and Technology, 10, 9-12 (1987). .. 'Earnshaw's Theorem', American Journal of Physics, 55, 199 (March 1987). .. 'The Physics of the Missing Atoms: Technetium and Promethium', Hadronic Journal, 10, 167-172 (1987). .. 'Synchronous Lattice Electrodynamics as an Alternative to Time Dilation', Hadronic Journal, 10, 185-192 (1987). .. 'Steady State Electrodynamic Induction - A Feature of the General Law of Electrodynamics', Progress in Space-Time Physics 1987, Editor J. P. Wesley, Benjamin Wesley, Blumberg, Germany, pp. 137-155 (1987). .. 'Tests of Photon Theory in Terms of Precision Measurement', Problems in Quantum Physics; Gdansk '87, (Conference Proceedings), Editors L. Kostro et al., World Scientific, New Jersey, pp. 353-373 (1987). .. 'EM Wave Interference', American Journal of Physics, 56, 103 (February 1988). .. 'Ghost Mass and the Unseen Energy World as Revealed by the Anomalies of the Gyroscope', The Toth-Maatian Review, 6, 165-3171 (1987). .. 'Instantaneous Electrodynamic Potential with Retarded Energy Transfer', Hadronic Journal, 11, 307-313 (1988). .. 'The Theory of the Proton Constants', Hadronic Journal, 11, 169-176 (1988). .. 'A Theory of Proton Creation', Physics Essays, 1, 72-76 (1988). .. 'Do We Really Understand Magnetism? ', Magnets, 1, 19-24 (1988). .. 'The Vacuum as our Future Source of Energy', Magnets, 3(8), 15-18 (1988). .. 'A Modern Test for the Ether? ', Physics Today, 41, p. 132 (March, 1988). .. 'The Proton Factor and its Unknown Effects', The Toth-Maatian Review, 7, 3725-3734 (October 1988). .. 'Anti-Gravity Electronics', Electronics & Wireless World, 29-31 (January 1989). .. 'Extremely Low Frequency Electromagnetic Radiation and Biological Effects', Speculations in Science and Technology, 12, 17-20 (1989). .. 'Conservative Hadron Interactions Exemplified by the Creation of the Kaon', Hadronic Journal, 12, 101-108 (1989). .. 'The Theory of the Gravitation Constant', Physics Essays, 2, 173-179 (1989). .. 'A Theory of Pion Creation', Physics Essays, 2, 360-367 (1989). .. 'The Supergraviton and its Technological Connection', Speculations in Science and Technology, 12, 179-186 (1989). .. 'Standing Wave Interferometry', Physics Essays, 3, 39-45 (1990). .. 'The Harwen Energy Radiation Regenerator', Speculations in Science and Technology, 13 295-299 (1990). .. 'Maxwell's Demon and the Second Law of Thermodynamics', Nature, 347, 25 (1990). .. 'Switched Reluctance Motor with Full A.C. Commutation', U.S. Patent 4,975,608 (4th December 1990). .. 'Thermal Power Device', U.K. Patent Specification 2 239 490A (Published 3rd July 1991). .. 'The Theory of Antigravity', Physics Essays, 4, 13-19 (1991).
 . 'Power Lines, Cancer and Cylotron Resonance', Electronics World and Wireless World, pp. 774-775 (September 1991).
 . 'Magnets and Gravity', Magnets, 6(6), 16-22 (1992).
 . 'Electricity without Magnetism', Electronics World, 540-542 (1992).
 . 'The Law of Perpetual Motion', Physics Education, 28, 202-203 (1993).
 . 'The First Law of Thermodynamics', Physics Education, 28, 340-342 (1993).
 . 'Retardation in the Coulomb Potential', Physics Essays, 8, 19-28 (1995).
 . 'Vacuum Spin as a New Energy Source', Proceedings: International Symposium on New Energy, Denver, Colorado, April, 1996, pp. 1-19.